Our Perfectly Imperfect Life: Faith over fear. Patience over frustration. Pain with a purpose. Faith over fear. Patience over frustration. Pain with a purpose. I received a copy of this book free to review. I was not financially compensated in any way. The opinions expressed are my own and are based on my observations while reading this book. 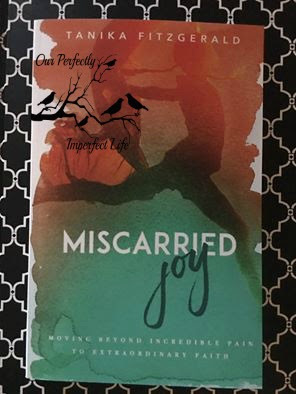 In Miscarried Joy, Tanika transparently shares her deeply personal and disappointing experiences of losing her babies due to miscarriage. There were times when she felt God was the cause of her pain. However, her journey through the lives of Sarah, Rebekah, Rachel, Hannah, Elizabeth and Naomi, revealed quite the opposite---God had allowed her pain for a much greater purpose. Each of these women had something in common: they learned to surrender their will and trust God's plan beyond the pain. They were pushed to a posture of prayer that led them from questioning God to have total confidence in Him. Tanika discovered that this season of waiting didn't show up simply to challenge her, but to change her. What have you miscarried? What purpose have you had difficulty conceiving? Is it a calling you fear steppinginto? A vision that has not yet come to pass? Miscarried Joyhas something for anyone who needs help pushing through incredible pain to conquer discouragement, walk in faith and birth their purpose. God's delay in your life could be a set up for your greatest calling to be fulfilled. 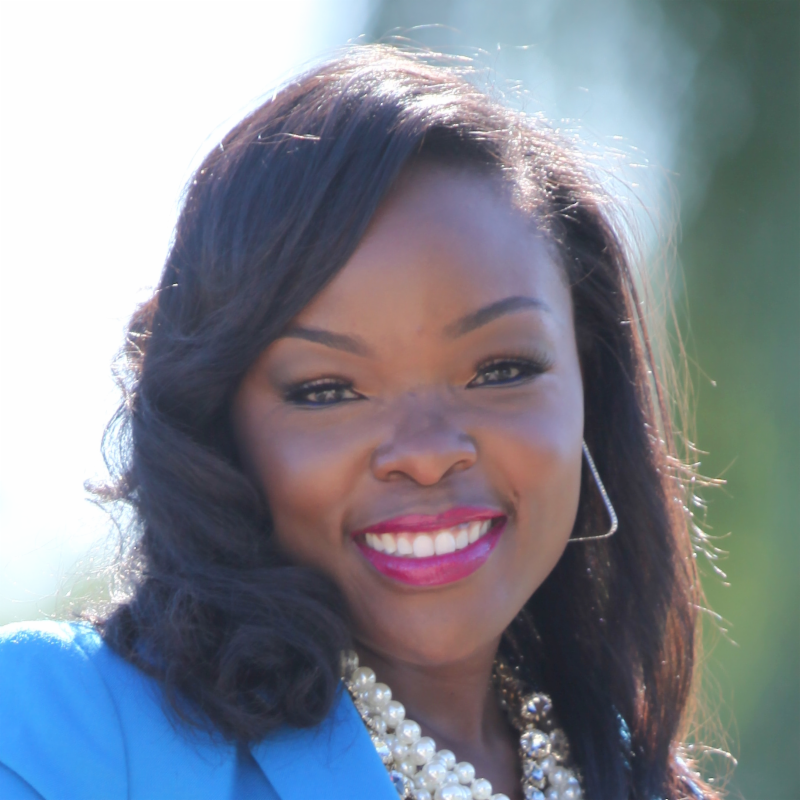 Tanika transparently opens up to those who have suffered from the loss of miscarriage as she has in such a loving, Christ-centered way that will help her readers on the path of healing and restoration. I am so grateful to her for sharing her journey. I have experienced three miscarriages in the past. I have never shared this with anyone other than my husband, not because I didn't grieve the loss of those babies...but because it was such a personal time & it wasn't something we felt led to share at the time. Today, I am now finally ready to talk about my experience with my readers. My first miscarriage in happened when my oldest daughter(13) was just three(3) months old. It was sometime in Jan 2004, my daughter's biological father & I were living in the town my daughter was born in. I remember this night quite vividly, my "little sister" was spending the night with us & I felt sick to my stomach & that's when I realized what had happened. I hadn't yet taken a test, but I knew I was pregnant. The second one happened around Dec 2008. My husband & I were newly married. I lived in NC & he was in Texas preparing to leave for basic training(march 2009). Before he left, I flew out to Dallas to see him. We spent an amazing 10 days together. We did a lot of walking during the last few days of my trip there & then I flew home to NC & then a few days later he flew out to NC to spend time with myself, mom & daughter. Somewhere between the time I got home from Texas & the time he came to Nc...I had fallen an had broken toes 3,4 & 5 on my right foot...while also dislocating toe 4(don't ask, that's another post on its own). Anyway, the dr said that the trauma from the injury caused so much stress that it led me to lose the baby. I HAD taken a test and knew I was about 6-8 weeks along, but I wanted to surprise my husband when he arrived in NC with some sort of cute announcement. I saw my husband again in February 2009(a month before finally shipping off to basic) and in April I found out I was expecting again! When I was allowed to talk to him on the phone, I couldn't keep it a secret & had to tell him. He was so excited, that he yelled out to the guys that he was going to be a daddy(though he already said he was a "daddy" & treats my oldest as if she were his own flesh & blood, this baby was his first biological child). This baby would turn out to be my middle daughter, who just turned 7 in Nov. The final miscarriage was after my husband returned from deployment in October 2010. My oldest was 7 & my middle daughter was 10 months old. I remember being scared when I found out I was pregnant again, yet excited at the thought of the new life that was growing inside of me. My husband & I wanted to wait until we were out of the first trimester to tell our friends & family. Around six weeks, I started to experience the same symptoms I had in my previous miscarriages. I went to the dr expecting to be told I lost the baby & was preparing myself for yet another loss...but to my surprise...I was still pregnant! The dr said it was likely that we could have been having twins & lost one, or I was experiencing bleeding like some women do while pregnant. All I know is that I delivered an almost 9lb(8.13 to be exact) baby girl after 72 hrs of excruciating pain, & during the last 8 hrs i felt everything due to the epidural wearing off. After the birth of my youngest, the dr had a "heart to heart" with me & told me that he did not recommend me becoming pregnant in the future, due to the difficulty I had experienced in the past. Tanika Fitzgerald is a lover of Christ, a wife to her husband, Maurice, a loving daughter and sister. She is passionate about equipping women to grow spiritually, live balanced lives and helping them to be ARMED for victory in every area of life. Tanika has been called to minister to others through her passion and gift of writing to inspire women all over the globe. She is also the visionary behind ARMED Magazine---a publication created to "Spiritually Equip for you Victory in Battle." Her inspirational writing has been featured in numerous publications including Hope for Women Magazine, Black and Married with Kids, and more. Tanika has also interviewed powerful voices in the Christian community, including Lady Serita Jakes, Sheryl Brady, Charles Jenkins, Earnest Pugh, and more! Tanika is a woman who is passionate about her relationship with Jesus Christ, family, giving to others, laughter, having fun, and enjoying every moment that life brings!